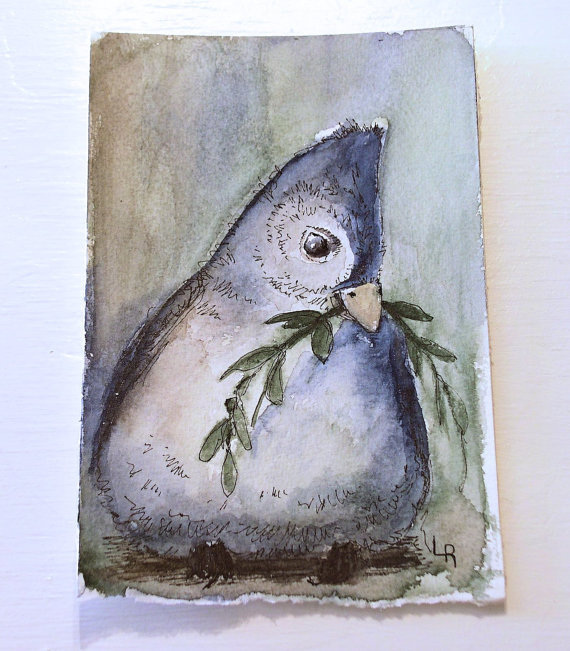 Nature Art woodland birds Tufted Titmouse watercolor original artwork by Laurie Rohner in watercolor. 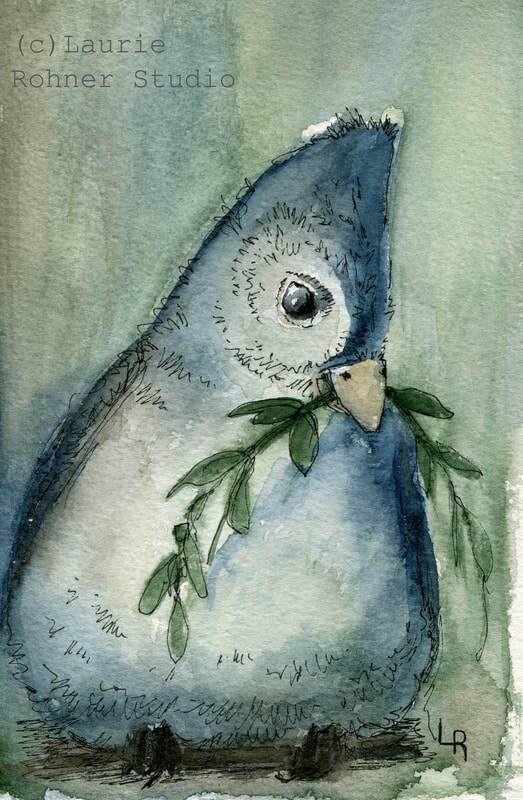 Watercolor painting nature art original illustration by Laurie Rohner. A woodland bird holds a twig in her beak. She is a tufted titmouse and she is preparing a nest for the spring. She has an eye on that branch over there but you seem to be watching. Does she go and ignore you or does she wait you out on her branch? Paper size is 7" x 5". Buy original watercolor nature art work, inspired by a tuffted woodland bird from nature, use as wall art. Original art for sale online here at Laurie Rohner Studio. You will love my individually hand-painted art cards. Great for gift giving. Can be framed later. Contemporary. Fits any 5" x 7" matte opening.